Delivering better care at lower costs is the primary focus for the Steward Health Care System. Part of the solution is an investment in an HDTV system that is enabling a superior patient experience with quality entertainment that patients appreciate. Steward Health Care System partnered with TeleHealth Services, the nation’s leading provider of hospital televisions and interactive patient engagement solutions, to elevate the entertainment experience across the entire integrated delivery network to promote a more home-like environment in all of its hospital facilities. “Patients look for amenities that provide the comforts of their home while away from home,” says Scott Kenyon, vice president of Environmental Management, Corporate Real Estate and Facilities. “We have created a patient experience that demonstrates our commitment to enhance our member hospitals in the digital world by aligning the patient entertainment amenities with a consumer offering to improve overall patient satisfaction. Since 2010, Steward has invested more than $850 million in its integrated care system to improve the quality of care and augment the patient experience. Upgrading technology as part of the solution is making a difference. Earlier this year, Steward announced that it generated $30 million in savings in the Medicare Pioneer Accountable Care Organization (ACO) program in the first three years of the program. The hospital is on the leading edge of making the ACO model work in Massachusetts by delivering better care at lower costs, and making sure the patient experience is convenient and comfortable. TeleHealth Services is delivering a flexible solution that addresses Steward hospitals’ current needs but also provides a foundation for expansion as demands change. 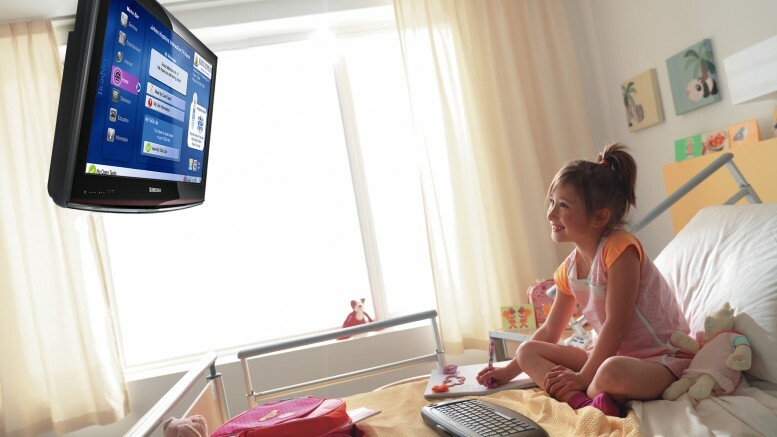 The infrastructure is ready to support interactive patient engagement and education services, including on-demand video education that transforms televisions into a valuable clinical resource.